Chase QuickPay payments are now available within minutes between Chase and select banks. Search, sort and filter credit card transactions. Now pay or transfer funds without having to re-enter your password when you use fingerprint sign in. Explore auto loans from your phone and apply to get financing before heading to the dealer. Explore your mortgage options right on your phone. Discover options to buy, refinance or tap into your home’s equity. With the new version, once you've logged in via your fingerprint, that counts as a for real login. 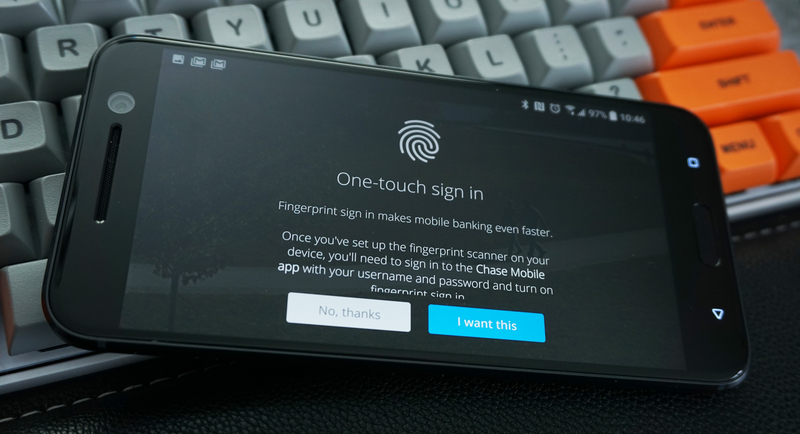 Previously, features like account transfers and bill pay were still locked after logging in with a fingerprint. That rather defeated the purpose. Users will also be happy to see that credit card transactions can finally be searched, filtered, and sorted. The other tweaks to the app in this version are nice too, just not as immediately useful.